Seo is very important than every thing for blogs and websites. Seo is the only method to get some unique and organic traffic. There are many seo tips on the internet and many of them are useful but in some websites all seo tips and fake. I have written a post about seo which works really as I am using it too for my blog's traffic. You can read it here. In my seo tips post I have told that links and tags optimization is important for seo but maybe some of you won't understand how to optimize them, so this post is to help out those who don't know how to optimize links and post tags for seo. 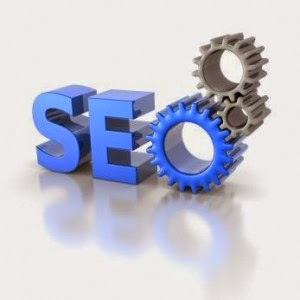 I am starting from optimizing links for seo as links play a vital role in seo. How? the answer is because links contains titles of the posts and thus are helpful for appearance of your blog links in search results. While writing a post you might have seen an option on right hand of the editor "permalinks" all you have to do is using it to optimize your post links for seo. First of all write title of your post then click on permalink and select automatic, it will automatically generate a seo friendly link for your post, now click on Done and your post link is optimized for seo. Sometimes permalinks don't contain full title of post and maybe it won't contain keywords also so these links are not seo optimized but you can optimize them by adding a custom link for your post. To add a custom link for your post click on permalink and select custom permalink now erase the whole link and write your own link having keywords of the post. Congrats! your post's link is optimized. Go to your post which you are writing or have written and edit it. Now write the tags in the last of the post or on the top of the post and click on Html on the tools on top of the editor. Now click on save and you are done! Go to your post and click on edit. Find your tags in the compose tab(no need to switch to html tab). Save post and publish it. 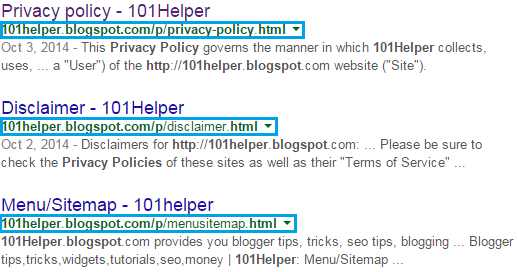 Seo optimization is very necessary for blogs and websites therefore I suggest you to read this post also http://101helper.blogspot.com/2014/07/how-to-increase-your-blog-traffic-seo.html , thanks for visiting 101Helper I hope this post was helpful to you. If you have any problem ask me in comments or send me you message through Email: Fahimraza101@gmail.com , Follow and subscribe to 101Helper for latest news about seo, tips, tricks, widgets and tutorials. If you like this post then take few seconds to share it with others. Tags: How to optimize links and tags for seo in blogger, seo optimization, blogger seo tips, seo optimize blog, blogger seo help, free seo tips 100% working for blog, seo tips for websites, links optimization for seo, seo tags optimization, 101Helper seo tips for blogger. Hello, Is important to use tags in italic font style? or this is just for decoration? Thanks for your help. Hi. I have read that the use of h2 is only for subtitles, to give order to the whole text, therefore it must be placed as a subtitle at the beginning of a paragraph. Is it permissible to use h2 in this strange way at the end of the article? Does not this go against Google's SEO standards? Could my site be penalized for using h2 in this way? If you have h2 as post title i think its not good for seo, use h1 as post title and use h2 for headings and if you can use it for headings you can use it as keywords too because i just show it to tell visitors that this post contains following thinks so it is like a summery. In some articles throughout the text I do not have headings, I only have plain text. If I use h2 tags only at the end of the article as "search tags", is this okay? Is there no problem for not having h2 tags in headings embedded in the body of the text? Would the H2 tags method also work in Wordpress.com and Wordpress.org? Or does it only work in blogger? Works for every type of website.